These Top of the Hill South Rooms have 2 Queen Beds, Newly Renovated Bathrooms, are within closest proximity to the Office and have the easiest walking route to Canada Street and Lake George Village. Rooms face the center of the property and offer no lake view. 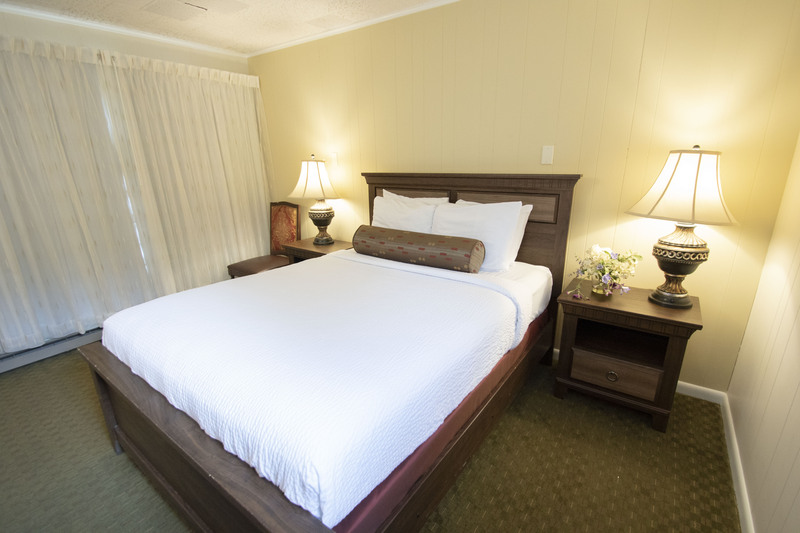 Also in their immediate area are our Guest Laundry facilities. 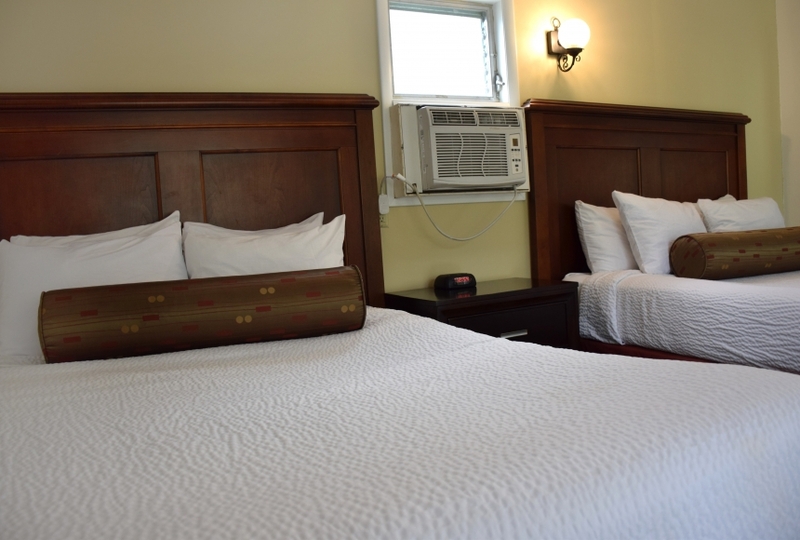 These Top of the Hill North Rooms have either Two Queen Size Beds or 1 Queen Bed, Newly Renovated Bathrooms, are within close proximity to the Office and have an easy walking route to Canada Street and Lake George Village. These do not provide any views of the Lake and face the backside of our property. Also in their immediate area are our Guest Laundry facilities. Many of these rooms are only available by calling direct and can not be booked online. For a birds-eye view of the property and the room layout, watch our resort video.